Are you looking to attend a promotional event in Bath? 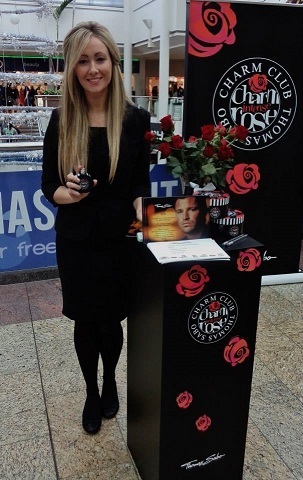 Are you looking to hire promotional personnel or book promotional event staff? Growing and successful businesses understand the importance and of brand awareness through experiential marketing and the huge rewards this can bring. By taking advantage of eye catching promotions you can really acheive the best results with your product, service and brand by using experienced staff to engage with your target clients. Our experienced staff are based throughout Bath including Abbey, Kingsmead,Walcot, Bathwick, Combe Down, Lambridge, Lansdown, Lyncombe, Newbridge, Odd Down, Oldfield, Southdown, Tiverton and Widcombe. Pitlane Promotion has more than 5 years experience and expertise in supplying event staff in the Bath area including demonstration staff at the Boot’s Store in Bath as part of a National Sales Campaign for Boot’s the Chemist. Pitlane Promotion supplied Demonstrators and Brand Ambassadors for a product launch in more than 50 Boots stores with all our promotional ladies dressed in Branded Clothing and the in store demonstrators were hired to demonstrate the product from a bespoke stand and give visitors a voucher code to be presented to the sales assistants when the demonstrated product was purchased. If you are considering hosting an event or are involved at an event in or around Bath why not let Pitlane Promotion take care of your hosting, marketing or promotional event staff and exhibition staff requirements. Bath is a World Heritage site with a vast history and variety of theatres, museums , cultural and sporting venues which have made it a major location for tourists which, in turn, make it perfect for events, publicity stunts, demonstrations and product launches. Why not allow Pitlane Promotion to arrange your promotional staff and handle the publicity or your promotion? Whether you need only one member of staff or multiples, then we can assist. Let us deliver the service you expect from a great company. We can hire you the best people to make sure your brands are noticed by your target audience. Whatever your promotional event we have engaging and experienced people to assist in all areas. Need promo, event or hospitality staff at Goodwood Revival?